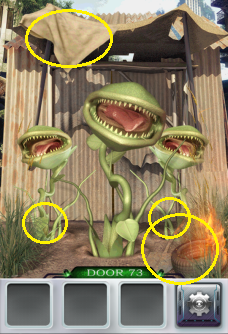 Pick up the shovel and use it at the base of the two smaller plants. Take the rag above the door and drag it to the shovel. Pick up the new tool, drag it to the flaming tire, then use it on the last plant. 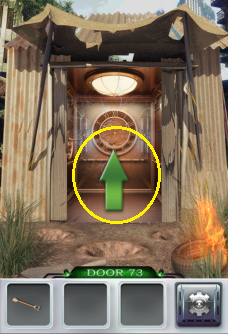 Proceed to the next 100 Doors 3 level!